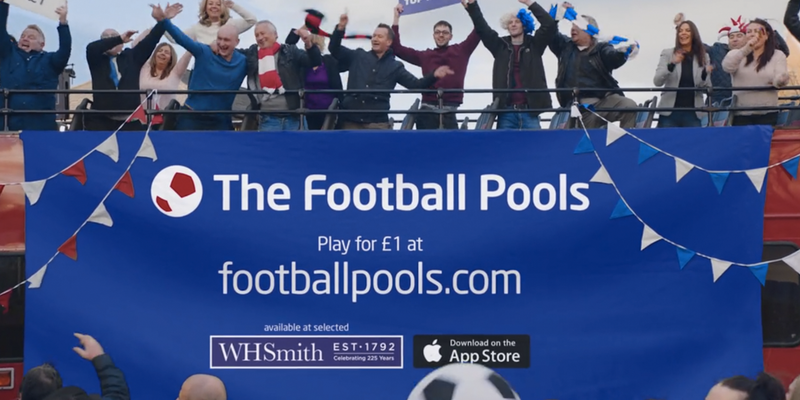 Media Agency Group, the parent company of TV Advertising Media, is the driving force behind a new nationwide advertising campaign with The Football Pools, launching an exciting major multimedia marketing push that is set to propel the brand back to the forefront of the sports betting industry. The UK-wide campaign is comprised of nationwide TV, radio and out of home advertising, and debuted during ITV’s coverage of the RBS Six Nations match between Italy and Wales on Sunday. The new star-studded TV commercial is set to dominate the UK’s television screens over the coming months, with key placements secured across major networks including Sky Sports, BT Sport, ITV and Eurosport. The ads are a mixture of 30, 40 and 60 seconds in length and will air during sports, entertainment, documentaries, movies and lifestyle programming. Read the full story on the Media Agency Group website.